5 Bedroom Detached House For Sale in Cheltenham for Asking Price £3,750,000. 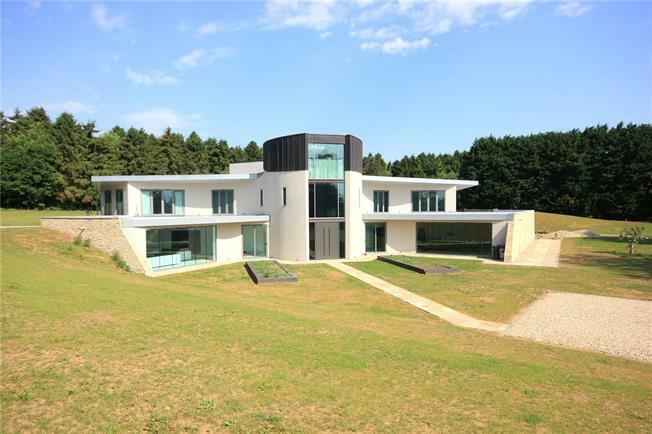 The Kudos a striking modern masterpiece positioned centrally within its 6.5 acre parkland plot. The house is graced with an exceptionally wide frontage which is approached by a long twisting gravel driveway and set behind a bespoke gated entrance. The Kudos is screened by a mature wooded area that helps create a superior setting that initially made it so irresistible to the current vendor. The architect was commissioned to create a home that would encapsulate the best of modern architecture and to create endless entertaining space with an abundance of natural light. The unique design makes compelling use of curves to embrace the surrounding area of outstanding natural beauty and within the mature trees in a manner rarely seen in the predominantly cubic forms of modernist design. This home will exceed the expectations of all of those who encounter it. Just to wander through the meticulously designed home renders you speechless. There are endless future opportunities left for the new owners subject to the necessary consent to create further buildings or facilities within the grounds of The Kudos. The landmark contemporary home was built in 2008 using natural materials such as zinc, copper and glass offering about 13,261 square feet of exceptional living and entertaining space set over four floors. The unique layout allows a wonderful flow between all of the principal rooms which are centred around the dramatic turreted entrance hall, the majority of the reception rooms including the pool complex, cinema and kitchen are located on the ground floor. On the first floor there is a large reception room with floor to ceiling windows with views reaching into the Woodland belt. On the second floor there are two wings to the home with two en-suite bedrooms on each. All the bedrooms in The Kudos have the benefit of their own balconies. The main turret is at the centre of the property and accommodates the master bedroom/dressing room and opulent bathroom with a domed glass roof. The discreet underground link provides hidden access to the annexe. This annexe could provide useful staff accommodation or further specific areas for a plethora of needs. Andoversford is a popular Cotswold village located approximately 4.6 miles east of Cheltenham with local amenities that include a post office, public house and village shop. Cheltenham itself is a Regency town renowned for its fine architecture, quality shops and excellent schools. The town has good cultural and leisure amenities and plays host to several annual festivals including Cricket, Classical Music, Jazz, Literary, Racing etc. 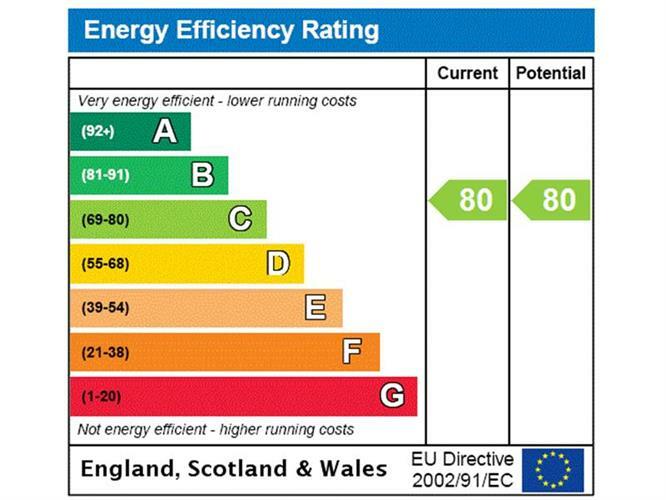 Andoversford is very well placed for access to Oxford and London via the A40, M40 and A419 to Swindon and M4. The property was positioned to enjoy complete privacy and exceptional views over the surrounding parkland like setting and distant views. There are a plethora of mature trees on the boundary giving colour throughout the year. The bulk of the garden is laid to lawn with a large chipped driveway providing parking for a number of vehicles and access to the garaging. There is a generous section of mature woodland on one boundary and ample space for further buildings or facilities subject to the necessary permissions. independent wing with private underground access tunnel. located centrally in 6.5 acres.